Dr. Miller was born in Anchorage, Alaska. Being a military brat, he lived in many different places before settling in Georgia. Dr. Miller graduated with high honors from the University of Georgia’s College of Veterinary Medicine in 2003. 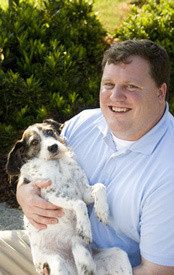 Dr. Miller was honored as one of Atlanta’s “Best Vets” in the Nov. 2010 issue of Atlanta magazine.